Orest Adamovich Kiprensky worked for the glory of his country. At international art exhibitions abroad, the artist positioned himself as an ambassador of Russian art. Master of portrait painting. He painted many famous people: commanders, writers, poets. One of his famous paintings was the portrait of the politician Rostopchin. Count Rostopchin was the patron of the artist, more than once provided him with disinterested help and support. Kiprensky often visited the famous Rostopchinsky salon, which collected the entire color of Moscow. Rostopchin is a well-known personality who made a successful career during the reign of Peter 1. At the time of the French attack on Moscow, the count was the commander-in-chief of the city. 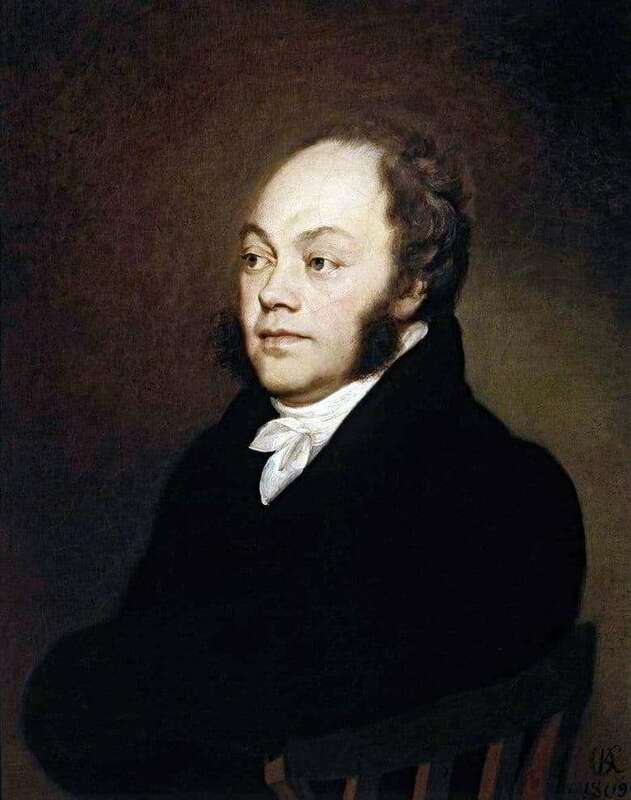 Rostopchin actively participated in the salvation of state property, but at the same time contributed to the destruction of Moscow by fire, so that it did not go to the French. Many people know about Rostopchin from the famous book “War and Peace”, which describes the cartoon image of the graph. In fact, Rostopchin is a versatile personality, which Kiprensky tried to demonstrate in his film. The portrait of the count was created in 1809. In the process of painting the artist was guided by the traditions of a strict chamber portrait of the 18th century. The viewer of the canvas is presented not the external surroundings (clothing or figure), but the inner world of a person. No detail in the picture hints at the high status of a person. The count is dressed like most secular people of that time. He is wearing a coat of classic dark color, around his neck a white scarf is neatly tied. Neutral clothing and calm brown background does not distract from the contemplation of the model. In the picture you can see the face of a noble and educated person. High forehead gives it a natural mind. Rostopchin looks open, calm and reasonable person.